With a great musical performance, the Egyptian Project band contributed to the Space of Culture inauguration event. Sponsored by SEKEM Group, the German Lebensbaum Foundation, and the non-profit organization LOYAC, Heliopolis University for Sustainable Development celebrated today the opening of this long planned new project. The Space of Culture was founded with the vision to bring various types of cultures and arts regularly together in a series of dialogues, performances, and exhibitions to enrich the region with the diversity of these different cultures. 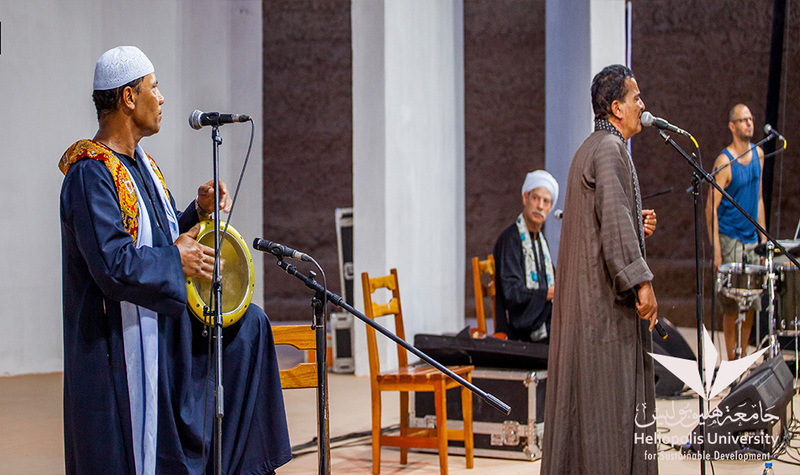 During the opening event, the international band Egyptian Project represented the unity in diversity by a mixture of oriental and electronic music – which was in the same time a metaphor for SEKEM’s cultural perspective that knows no boundaries. Heliopolis University students and SEKEM’s employees were excited and keen on attending the event. They also invited their family members and friends to celebrate the opening together. 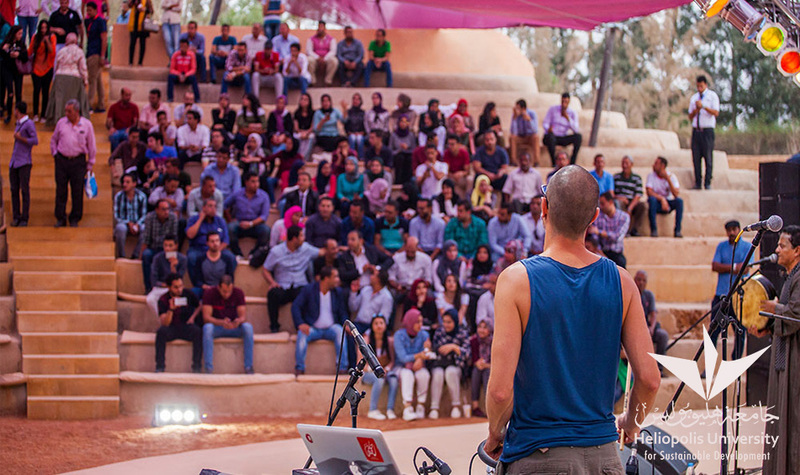 Similar to the Roman theater in SEKEM farm, the Space of Culture is placed in the ambience of an amphitheater on the campus of Heliopolis University. SEKEM is very happy to support this comprehensive new cultural project together with Lebensbaum Foundation.